"Diverse Expertise to Common Values"
We are over 180 people strong, meeting the needs of our customers around the globe. We operate with a set of three core values that guide every Arpek employee every day, through all of our processes, initiatives — and with every customer interaction. We are customer focused and work diligently to meet your needs. We believe in teamwork and work together to achieve success. And we are driven by integrity of synchronized engineering, continually striving to develop new and better solutions. Arpek, High Pressure Die Casting-HPDC- foundry, is located in Gebze-Kocaeli, in the heart of Turkish Automotive Parts & Components Manufacturers Industry Zone (T.O.S.B.) within one-hour drive to Atatürk International Airport and ten minutes from Sabiha Gokcen (SAW) Airport. Arpek, founded in 2004 as a part of Group Company, is specialized in HPDC. As a family owned, medium-sized company operating as a research and development partner for its customers, Arpek is much aware of the importance of a consistent high level of quality and reliability. Lean structures and efficient decision making processes contributes us into being, flexible partner for the automotive industry. Arpek is the die-casting company that uses Integrated Casting and Machining solutions in Turkey, and has been leading the aluminium foundry industry since then. With its outstanding HR, all experts in their specialist areas, the company’s alloy Arpek11, tool and method engineering expertise is unique within the industry. A state-of-the-art plant with a high degree of robotic automations facilitates the production of complex series and also enables the quick delivery of HPDC parts. Arpek provides cost effective integrated solutions with an extensive knowledge on HPDC. Through in-house research, development, die design, die production, simulation and engineering capabilities, Arpek offers creative technology focus. Arpek is credited as a world-class HPDC development partner by its customers. HPDC is the core area of expertise at Arpek. Our company is not only masters all the standard best process practices but it also invents new ones. We supply our global customers from our production facility at Çayırova-Kocaeli, Turkey. "Do it right at the first time"
Arpek continuously improves quality in order to guarantee reliable products, process and service with cost effective solutions. Arpek is certified according to the quality standard of IATF 16949. Arpek has capacity to cast annually over 5.000 tons aluminum. Arpek offers comprehensive machining and assembly capabilities. With these capabilities, we are able to supply from "ready-to-install" product range up to complete modules. "Sustainability needs competitiveness and effectiveness"
Typical industry efforts to improve the die casting quality focus only on the die casting machine process technology. 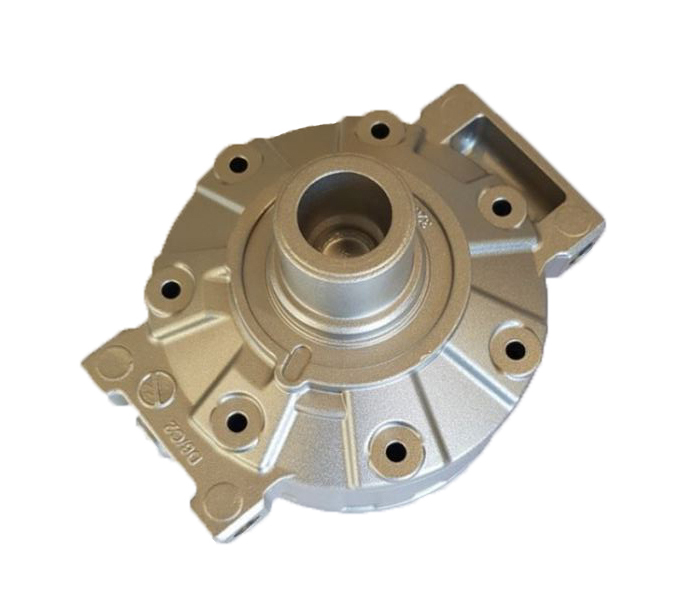 However, a more advanced, reliable die casting machine is still no guarantee for efficiency and quality. That’s why Arpek takes an "All in One Approach" to the process. Our development team considers every phase. 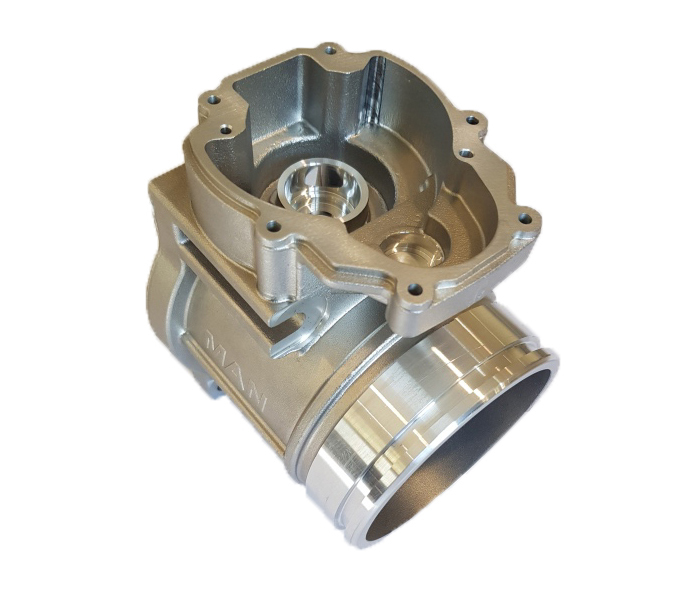 From simultaneous engineering through part development and die casting cavity design, to melting treatment, casting, machining and assembly process through to "All in One Approach". "Efficiency made by Economical Process"
HPDC is an efficient and economical process offering a broader range of shapes and components than any other manufacturing technique. Computer based control of the shot profile (Real time technology) allows us to realize component features that opens completely new horizons in design. 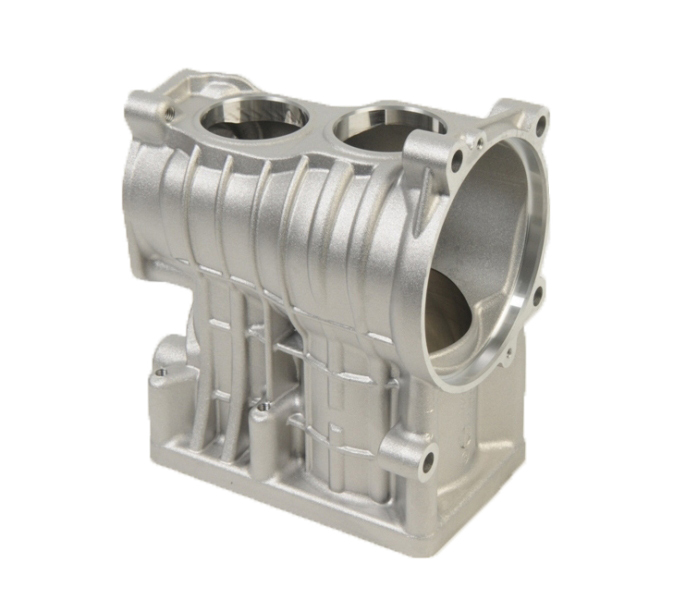 Optimum use of the material/performance ratio allows for an efficient and ecological die casting process. Thanks to a correct calculation and optimum advance casting simulation with MAGMA SOFT®, less casting pressure is required than with standard traditional processes. This has a positive effect both on the die life and the die casting machines. Arpek is nominated as a development partner for a large number of high-status projects in the automotive industry. Our engineers collaborate with customers from the start of the project to bring Arpek extensive development competence. However, in order to remain ahead of the market, Arpek conducts its own R&D projects. This brochure can only offer a general overview of Arpek’s range of services. Please contact us if you require more detailed information. We would be pleased to advise. Alternatively, please visit us in T.O.S.B Çayırova-Turkey. "Integration produces process efficiency through service by added value"
Integrated cooperation is the basis for a utility-oriented supply chain management system in which Arpek provides its partners added value by virtue of its strengths in operations. Downstream processes such as impregnation, Surtec coating, vibration deburring, shot blasting, CNC processing, washing and assembling complete the process and supply chain. As a full-service supplier, Arpek can therefore minimize the cost of administration and logistics for its customers and apply overall equipment effectiveness. Customized service for development of material alloys and product processes. The foundry is equipped with 9 Casting Island for Integrated Production the most advanced and fully robotized equipment. Compressors Parts for cars and trucks across the world. We support all well-known OEMs, engine and transmission manufacturers in developing components and in the entire process of designing light weight engineering solutions. The staffing of our development teams is interdisciplinary. Materials specialists and foundry experts work hand in hand here. We do not start only when we get a component drawing from the customer, with our function and system know-how, we contribute to the development with advice from the outset. Our understanding of the challenges of components in modern engines, transmissions and suspension systems allows us to look for targeted solutions. 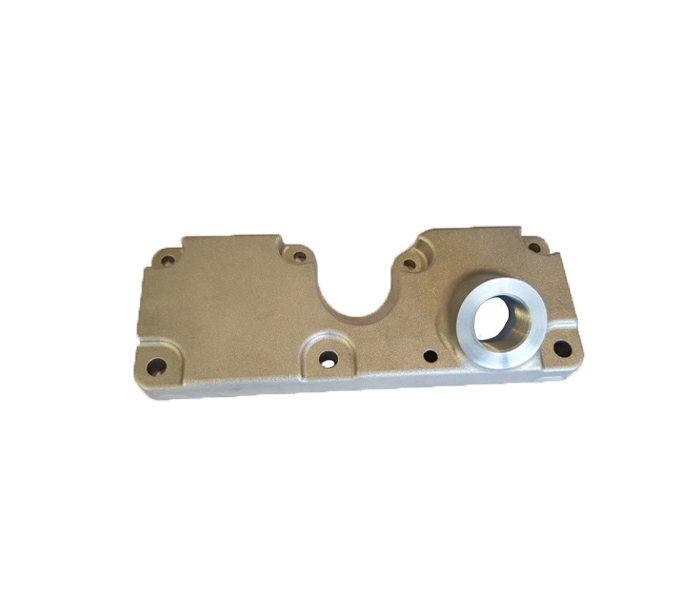 The outcome is especially light castings that are highly resilient precisely at those points where the greatest loads occur in operation. Because every component is different, we also design the data driven casting & machining processes for every component individually. Automated processes with intelligent control loops and fully integrated process data management guarantee the highest possible quality, and that with every casting & machining method used. The manufacturing depth is based on the customer needs. 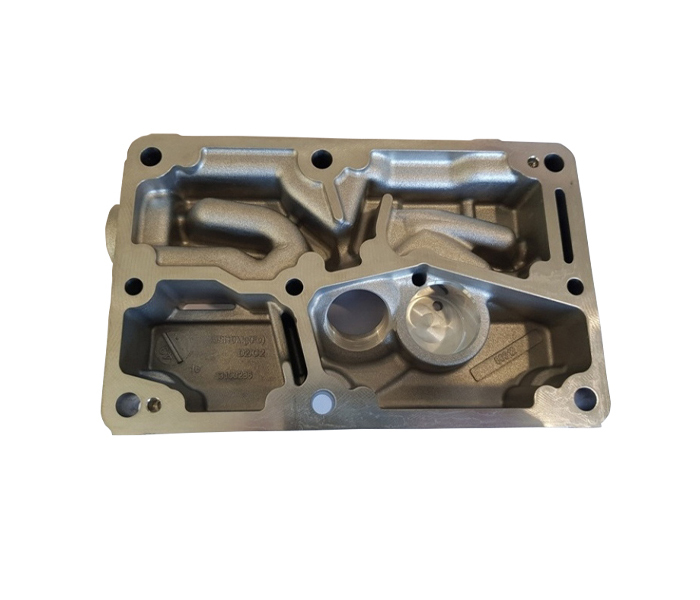 We manufacture from the casting and the subsequent heat treatment to machining parts down to the final dimension, and then testing, washing, coating, assembling and shipping them straight to the line.Our experience in casting and system know-how oriented around the present and future demands of modern vehicle development. At Arpek, we use MAGMA SOFT® to simulate the pouring and solidification. Our advantage: we are able to set the many parameters quickly and reliably. We need only a few iteration loops in order to design components such that they achieve the mechanical strengths that will be demanded of them in operation later. A cluster computer with numerous processors in the background makes sure that the results of the calculations are quickly available. Our engineering tools match the development tools that are customary on the market and at our customers. CATIA, Unigraphics, Rapid and simple exchange of data in CAD and CAM development is self-evident at Arpek. As a key competence and success factor Arpek Tool division is one of the largest captive die casting tool builders in the region. Excellent control of design and tool building allows Arpek to get tooling from inception to production and service challenger in the industry. 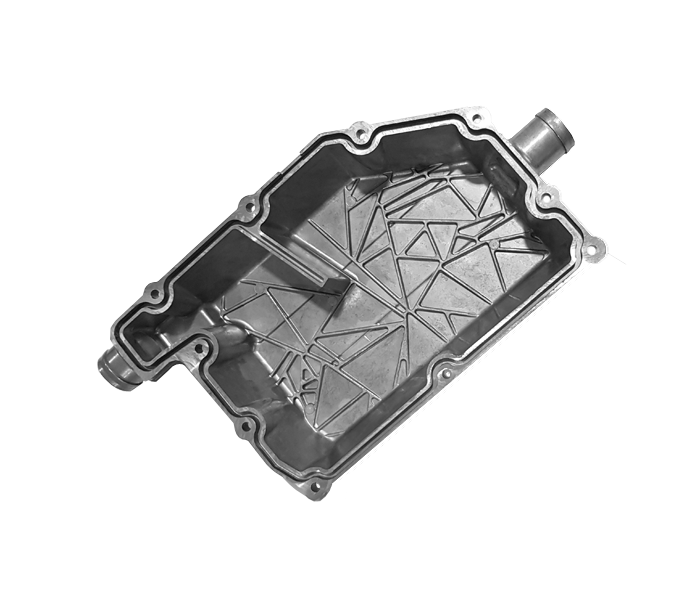 Rapid and reliable translation of foundry expertise, materials and process know-how into a casting die means short development time and fast series ramp-up’s. Our die making center operates across the company and ensures know-how transfer across departments and the quality in die making. 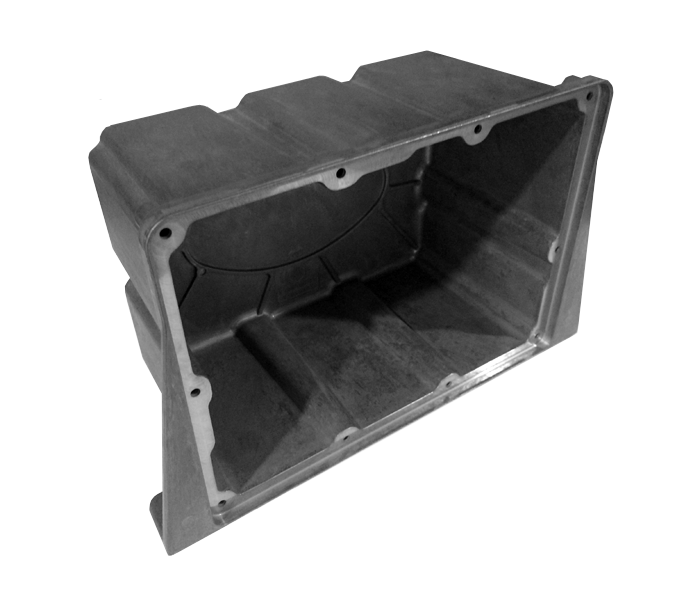 Die makers, foundry specialists, engineers and process technicians work hand in hand here to make process-secure large moulds for die and permanent mould casting. Deep experience in casting bring us and our customers to the goal especially quickly. Because that experience puts us in a position to apply the available engineering and simulation tools with certainty. Precise parameterization and only few iteration loops mean short prototype development times, less rework on dies and tools and a fast ramp-up into series production. Thanks to our experience and bundled know-how, we can respond quickly and flexibly to customer needs. In house foundry operations enables a fast feedback control loop between engineering, die making, foundry and quality. Arpek machining division with 27 machine is in response to customer requests for finished parts. All necessary machining automation with % 80 of references in 10 Robotic Cells. Our multi task option machining automation cells concept involves high-speed flexible machining & robotic equipment’s with combined production lines and highly trained personnel. As a leading development partner and integrity service supplier, we already generate significant added value for our customers with automation solutions. We bring our entire materials and manufacturing know-how into the cooperation – across the entire bandwidth of our unique automation technology mix. with machining and assembly, we integrate ourselves still deeper into the value chain. 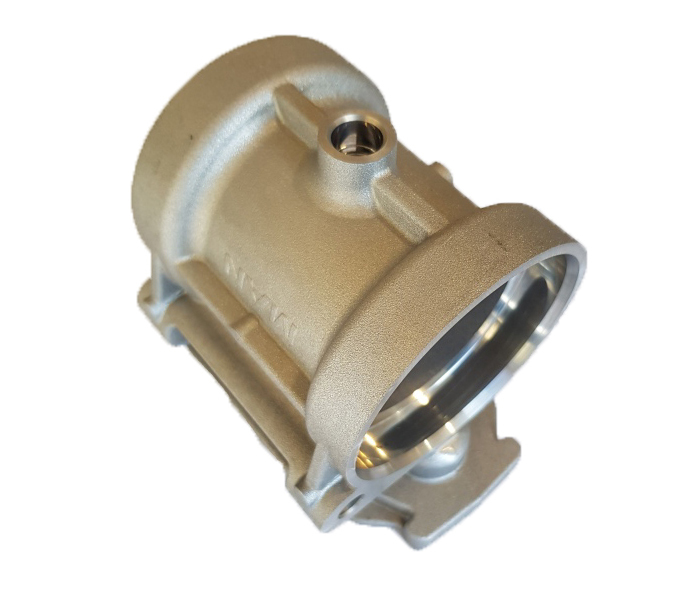 We provide support in engineering castings and machined and assembled products ready for customer usage and have even been known to transfer complete production methods and processes to our customers’ sites. To get a still bigger share of the value creation process in the future and increase the added value still further for our customers, we are constantly also raising the manufacturing depth for the components and semi-finished products manufactured at Arpek to be a competency center. Our deep process know-how guarantees that the components and modules delivered straight to the line also satisfy the tightest tolerances and that with a 100% good parts ratio. Because by machining here at Arpek, we have the possibility to keep reviewing our processes again and again and adjust them where necessary by data processing. And by doing so keep getting a little bit better and generate still more value for our customers. 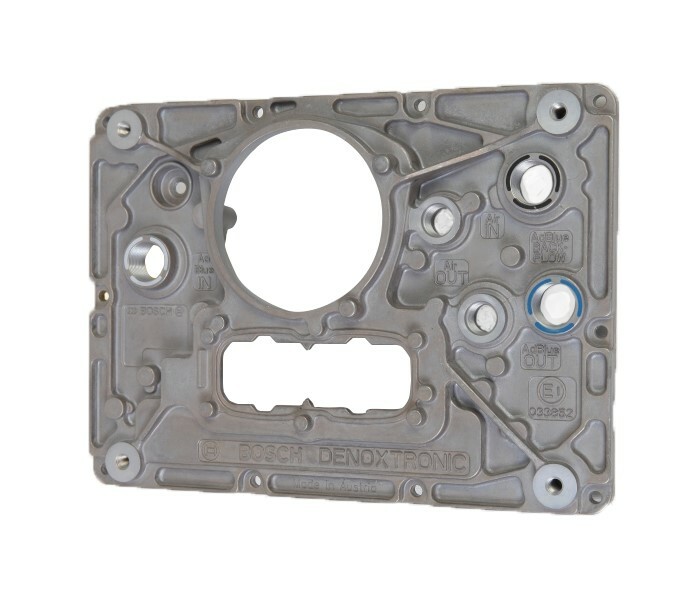 Custom designed assembly operations are performed and leaves our products ready to install. "Complexity of manufactured parts is our references"
Generate value added solutions in HPDC. Complexity of manufactured parts is our references. Complexity in manufacturing is our business. 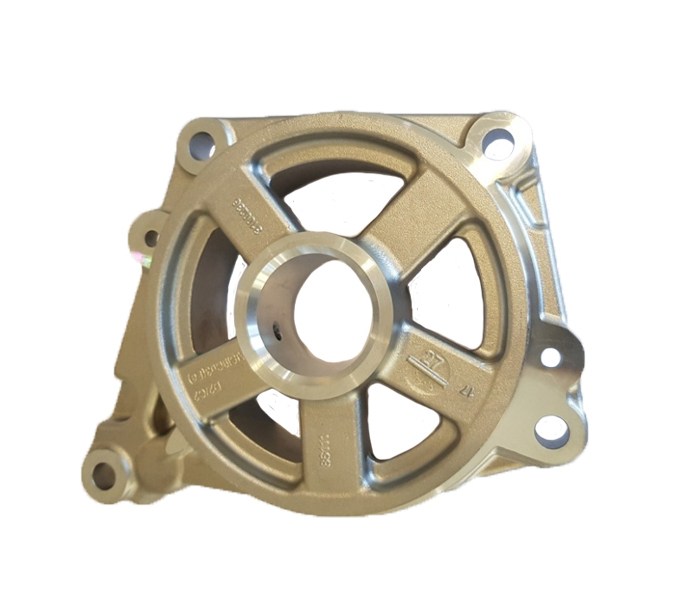 Generate value added solutions in die casting is our reference. Arpek has a clear quality advantage over its competitors, undertaking all the key processes of HPDC products itself based on global competitiveness levels. With experienced employees at all levels, an open approach and a commitment to deliver on promises, Arpek is in the position of a high level of trust with customers. To be preferred high pressure die casted, machined parts and components supplier ready for final assembly by OEM’s and Tier1’s. Sustainable and value-added services for customers. Zero defect mind on the quality. Integrated production supporting lean manufacturing principles. At Arpek, corporate responsibility is a powerful force guiding our strategies, actions and decision making. We continually seek new ways to improve our corporate citizenship. We believe that by maintaining the highest ethical standards, embracing diversity and focusing on quality, we can positively impact our customers, our employees and the communities in which we live and work. Arpek effectively manages risks, opportunities and continuous improvements on its processes in order to provide reliable products and services by means of Quality Management System through Arpek Vision & Mission and defined quality objectives that respect Arpek’s interested parties and its context, international statutory & regulatory requirements and customer specific requirements. Ensure that all our employees and subcontractors are responsive to the environment by contributing to the continuous improvement. Arpek Arkan Parts Aluminum Injection and Mold Industry. Tic. Inc. The Environmental Management System operates according to the ISO 14001 standard, legal regulations and compliance obligations. This Environmental Management System covers the production and services of high-pressure cast aluminum, machined & final assembly ready parts in our factory located in TOSB Automotive Subsidiary Industry Specialized Industrial Zone. With this Environmental Management System, the important environmental aspects defined by taking into consideration Arpek related parties & contexts and their environmental impacts shall be determined and the harmful effects shall be minimized within the scope of legal regulations and compliance obligations. It is our intention to work in an integrated manner with other management systems that we implement in order to realize trainings to improve technical and behavioral competencies in order to increase information security awareness. As Arpek, it is our first priority to protect the health and safety of all employees without discrimination of suppliers, subcontractors and guests with the belief that correct and productive production can only be carried out in a healthy and safe working environment. We are committed to achieving the goal of "Zero Work Accident" by continuously improving our business health and safety culture. ARPEK A.Ş. is leader in its sector / field of expertise and operating as one of the leading companies in Turkey on the international area. Since 2004, we have been producing high technology products and serving to international automotive industry. Since its establishment, "ARPEK Family" has been carrying on and executing its activities in the framework of pioneer, leader and exemplary principles. The reputation we earn with ARPEK brand and our quality standards, live with our principles and values on our applications. The "Code of Business Ethics" we have prepared, contains the basic rules that specify the principles and the values we define as "Five D 's of ARPEK" during the execution of the activities of ARPEK. These rules are binding for all employees and stakeholders. Be Right! Here is the tenth village. Be Honest! Then you can not fool yourself. Be Tidy! Then you will not make mistakes. Be Balanced! Respect and Love are earned by this way. Become Dynamic! Life is short, there is a lot of work. Arkan Parca Aluminyum Enjeksiyon ve Kalip Sanayi Ticaret A.S. If you want to work with us, you can send your current cv to our mail address. Arpek Arkan Parca Aluminyum Enjeksiyon ve Kalip Sanayi Ticaret A.S.
© 2018 Arpek Arkan Parça Alüminyum Enjeksiyon ve Kalıp San. Tic. A.Ş. reserves all rights even in the event of industrial property rights.We reserve all rights of disposal such as copying and passing on to third parties.